Bill was inducted into the St. Louis Soccer Hall of Fame in 1992. He played in the late 1950’s with St. Phillip Neir, Jr. and from 1961-1973 he played with St. Augustine, Keeney-Toelle, Garza, Pat Kenny, and L&L. Bill also coached from 1970-1985 including Norco and St. Christopher Parish. 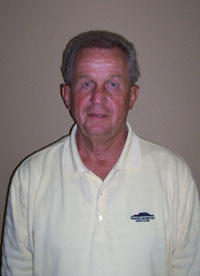 Bill has served as President of the Norco Soccer Club since 1986.